In 2009, the Chicago Transit Authority changed the rules regarding bus drivers’ punishment for the tickets they received while driving. In that time, according to a Freedom of Information Act request, red light camera violations have dropped significantly. 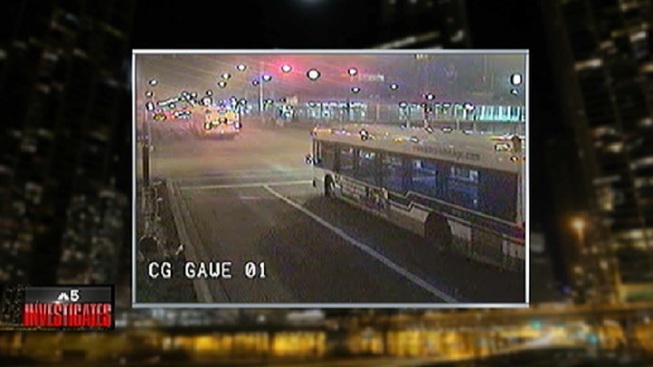 In 2010, the CTA reported their bus drivers received 779 violations. In 2011, the number of red light violations dropped to 321 and to 222 in 2012. The reason behind these changes? Harsher punishments for CTA bus drivers who run red lights. While in the past, the bus drivers paid for any tickets they received while working, the state law requires the owner of a vehicle to pay the fine. Now, the CTA pays for the ticket, but a cost remains for drivers. For their first ticket, bus drivers get a three day unpaid suspension from work, and if they receive another violation within two years they are dismissed from CTA employment, unless there are extenuating circumstances. In 2013, the CTA reported a spike in the number of violations, from 222 to 300. The CTA believes the recent hire of 400 new drivers may be the cause. The top sites where CTA red light violations occurred since 2010. DePaul University intern Christie Lacey contributed to this story.